The Gorch Fock is a tall ship of the German Navy (Deutsche Marine). 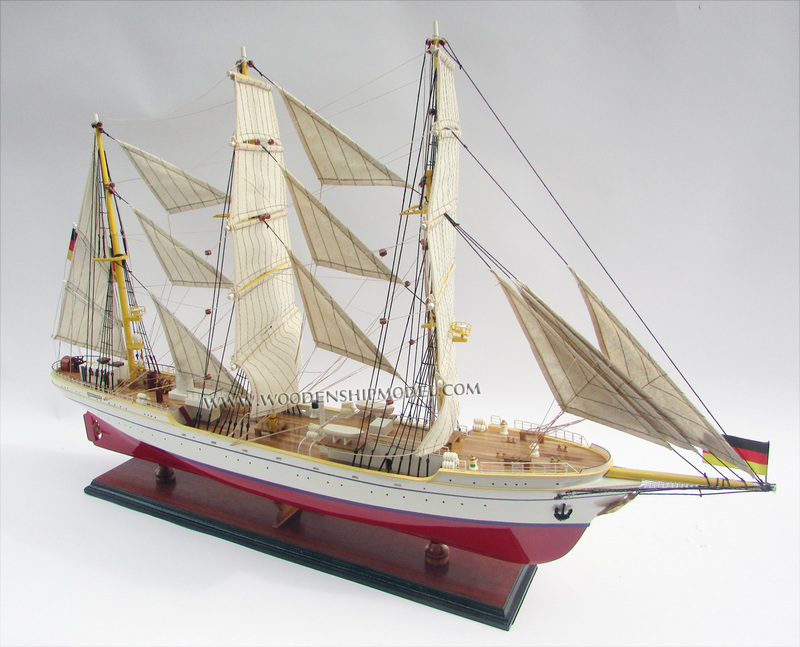 She is the second ship of that name and a sister ship of the Gorch Fock built in 1933. Both ships are named in honour of the German writer Johann Kinau who wrote under the pseudonym "Gorch Fock" and died in the battle of Jutland/Skagerrak in 1916. 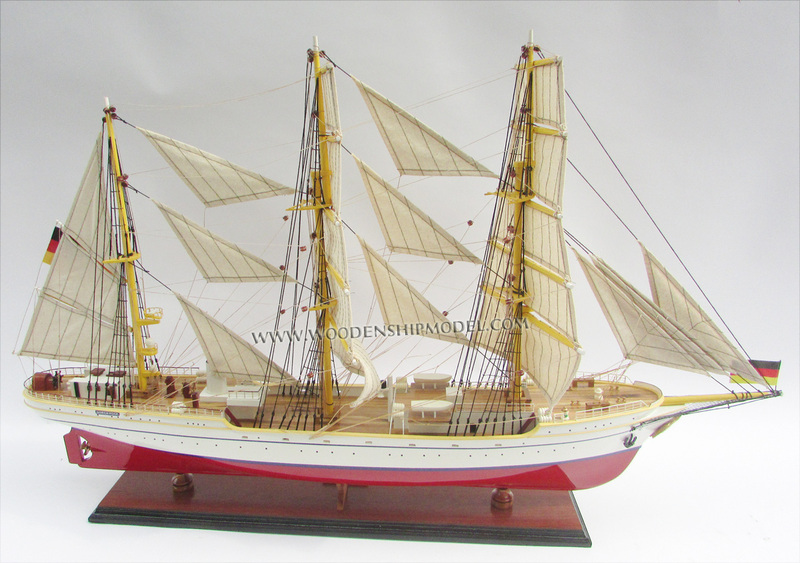 The modern-day Gorch Fock was built in 1958. 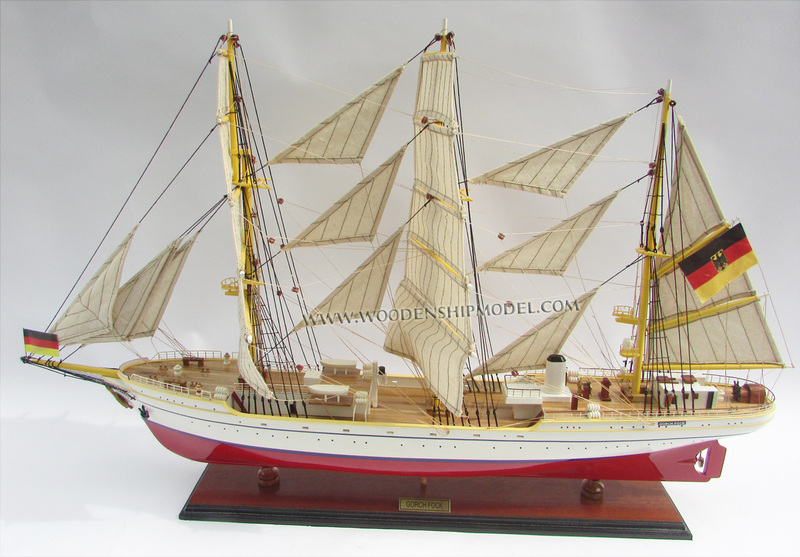 She is sometimes referred to (unofficially) as the Gorch Fock II to distinguish her from her older sister ship. 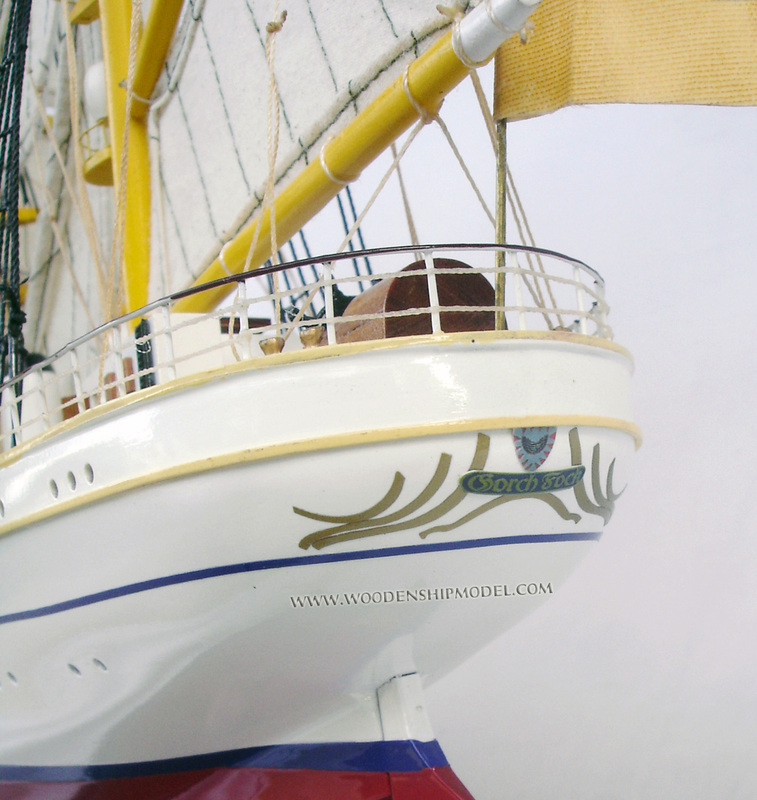 The Gorch Fock is under the command of the Naval Academy in Flensburg-M�rwik. 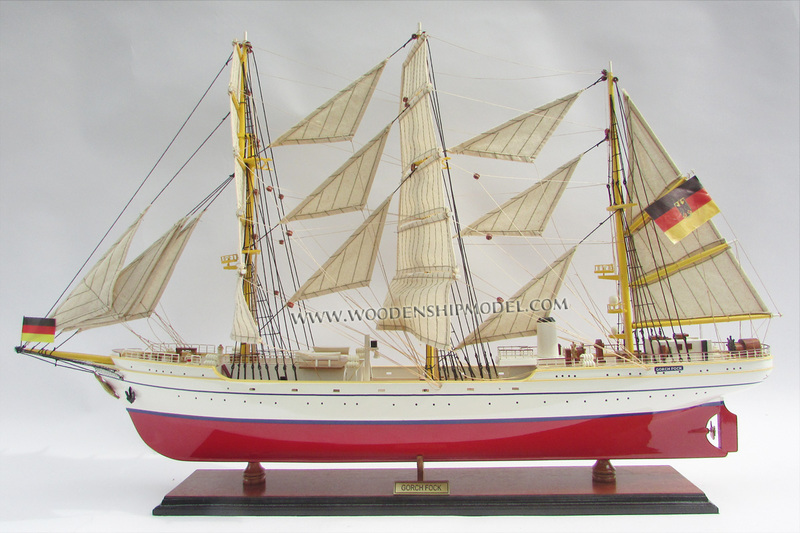 Germany had lost all its school ships as war reparations after World War II to the Allies so, the German Bundesmarine decided in 1957 to have a new training vessel built following the plans for the original Gorch Fock of 1933 which by that time was owned by the Soviets, and renamed to Tovarishch. 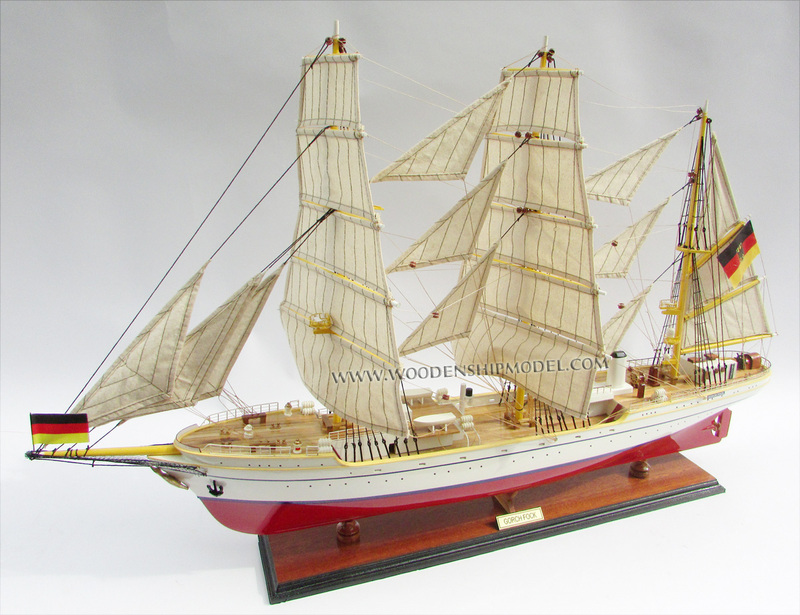 The new ship was a modernized rebuild of the Albert Leo Schlageter, a slightly modified sister ship of the previous Gorch Fock. 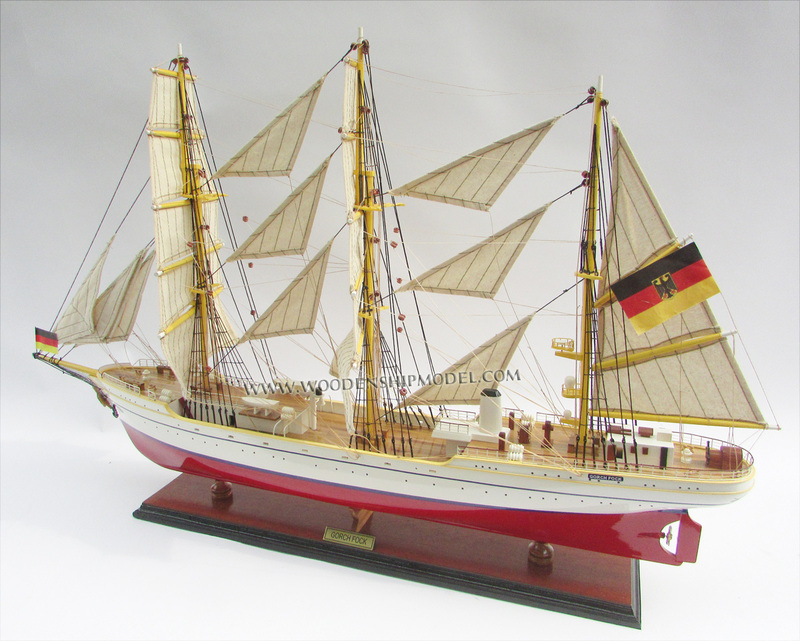 The 1933 Gorch Fock had already been designed to be a very safe ship: she had a righting moment large enough to bring her back into the upright position even when heeling over to nearly 90�. 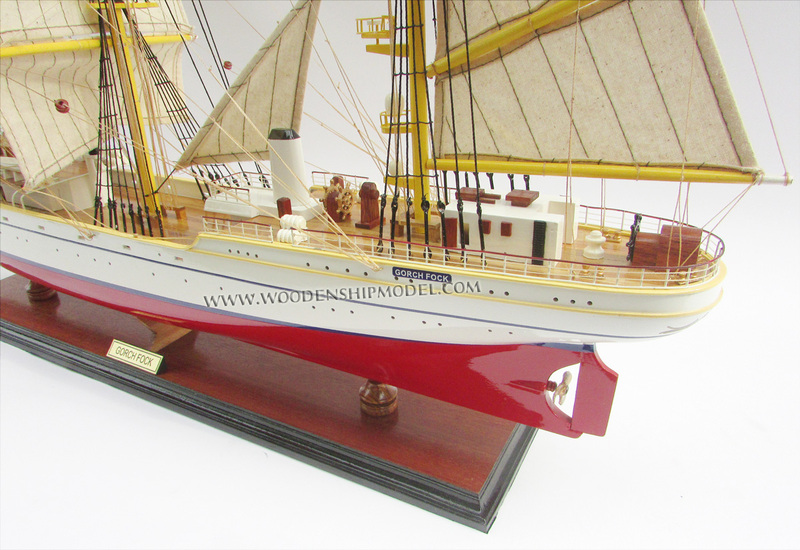 Nevertheless some late-minute changes to the design were made in response to the Pamir disaster in 1957, especially concerning the strength of the body and the bulkheads as well as the lifesaving equipment, including the lifeboats. The new ship was built by Blohm & Voss in Hamburg, launched on 23 August 1958, and commissioned on 17 December of that year. Her home port is Kiel. 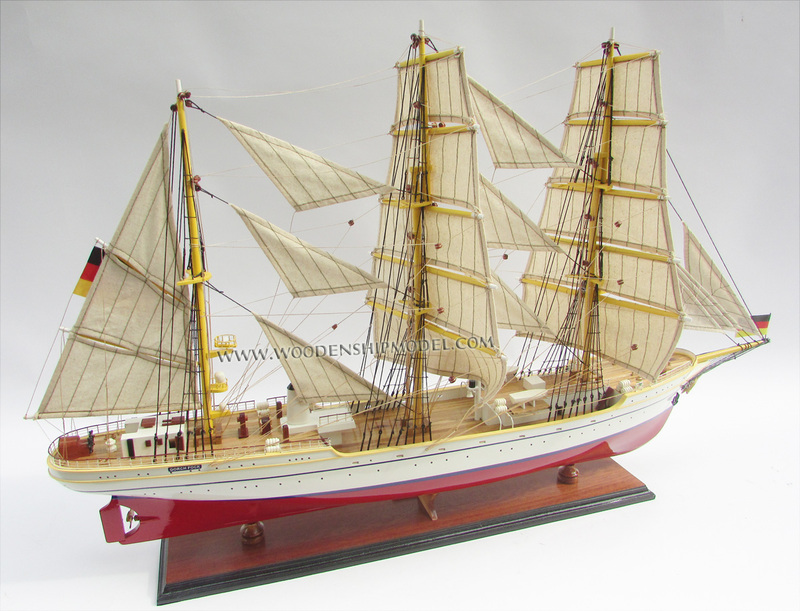 The Gorch Fock is a three-masted barque with a steel hull 81.2 m (266 ft) long (without the bowsprit) and 12 m (40 ft) wide. She has a draught of some 5.2 m (17 ft) and a displacement at full load of 1760 tons. Originally, she carried 1952 m� of canvas sails; later, she received slightly larger sails made of synthetic materials. 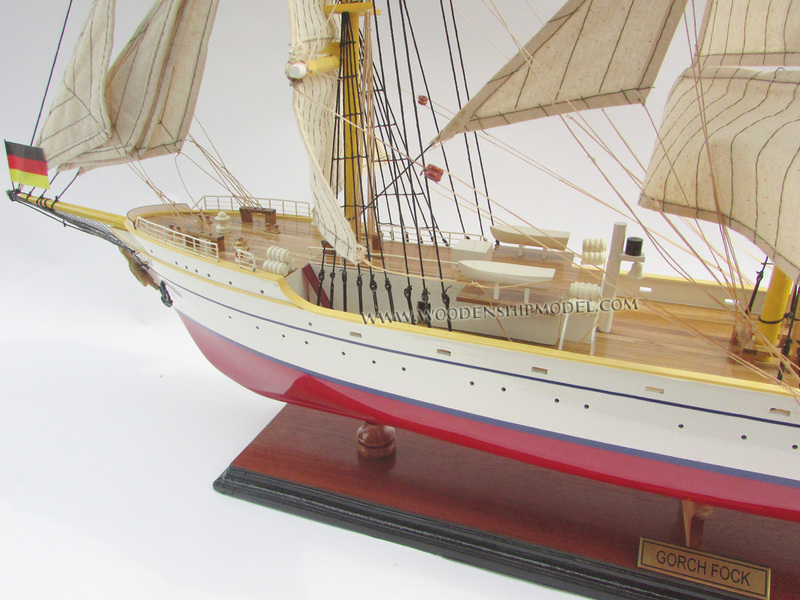 The tops of her fore and main masts can be lowered so that she can navigate the Kiel Canal, otherwise she would be too tall for some of the bridges spanning the canal. 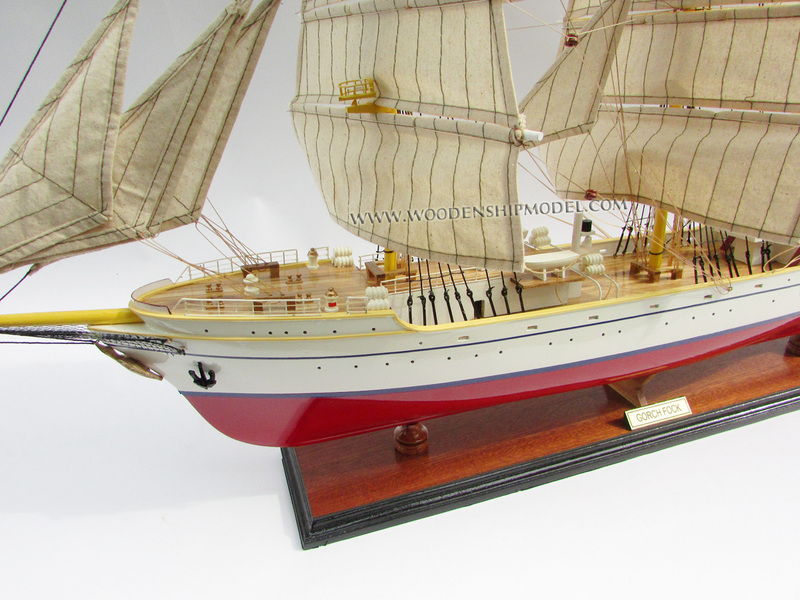 Over the years, various modernizations have been applied to the ship. She was fitted with air conditioning, the asbestos used originally was removed and replaced by less dangerous materials in 1991, and in that year she also received a new auxiliary engine, a six cylinder diesel engine producing 1,220 kW (1660 hp), good for a top speed of 13.7 knots. The interior has also been modified multiple times; technological advances made it possible to reduce the size of the galley and enlarge the crew quarters. Officially Gorch Fock is a Type 441 class naval ship with the NATO pennant number A60. Her international radio call sign is DRAX. 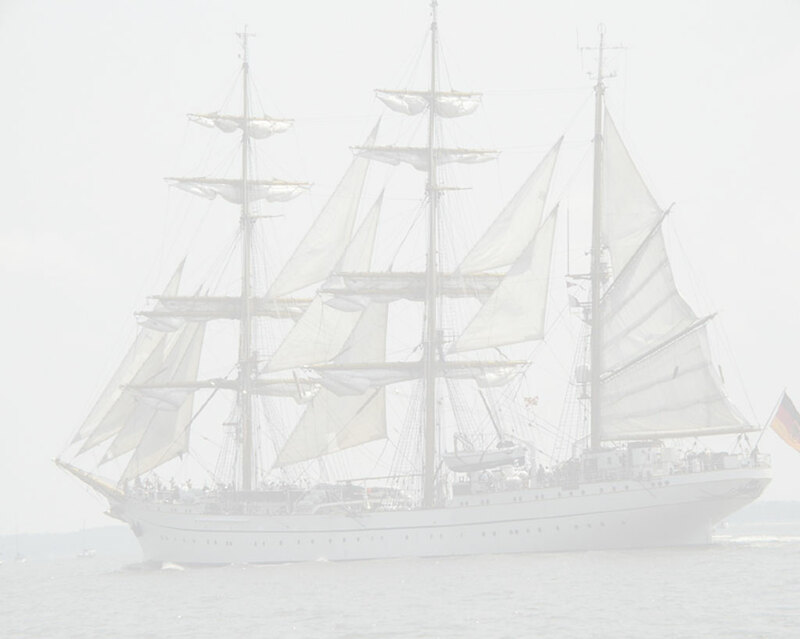 The Gorch Fock participates in sailing parades and Tall Ships' Races, where she is in amicable rivalry with the Italian vessel Amerigo Vespucci. The first albatross from 1958 was lost after a few years. 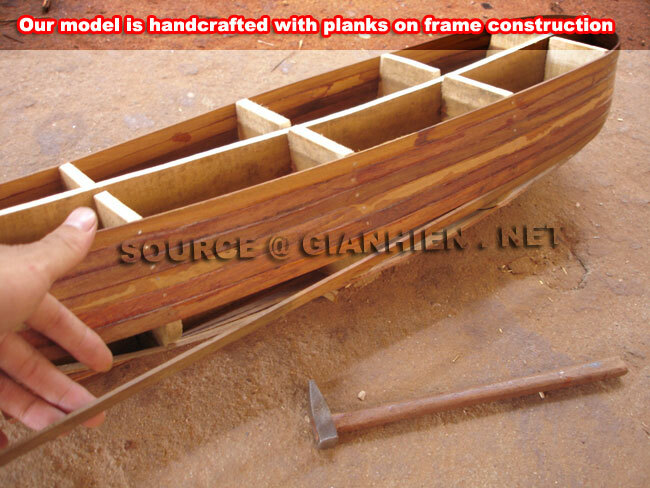 Its replacement was made of wood, like the first one. In 1969, it was removed and replaced by a figurehead made of polyester to save weight. 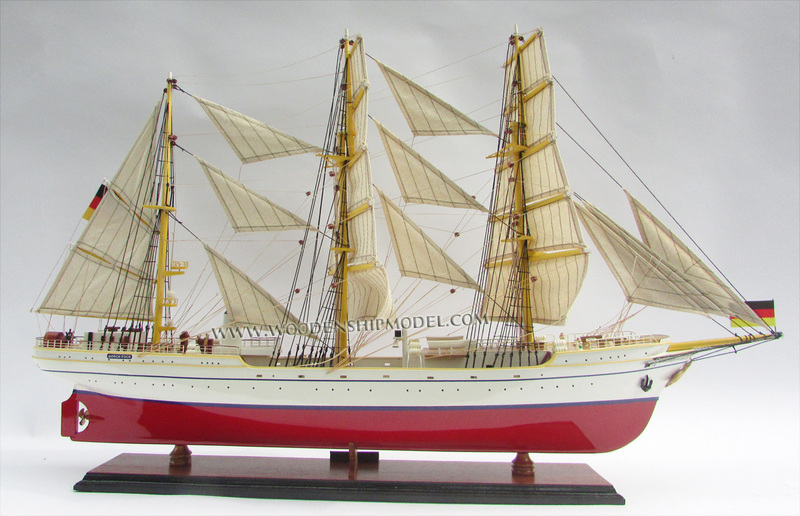 This albatross broke off when the Gorch Fock was being overhauled in 2000. It was replaced by a new one made of wood. 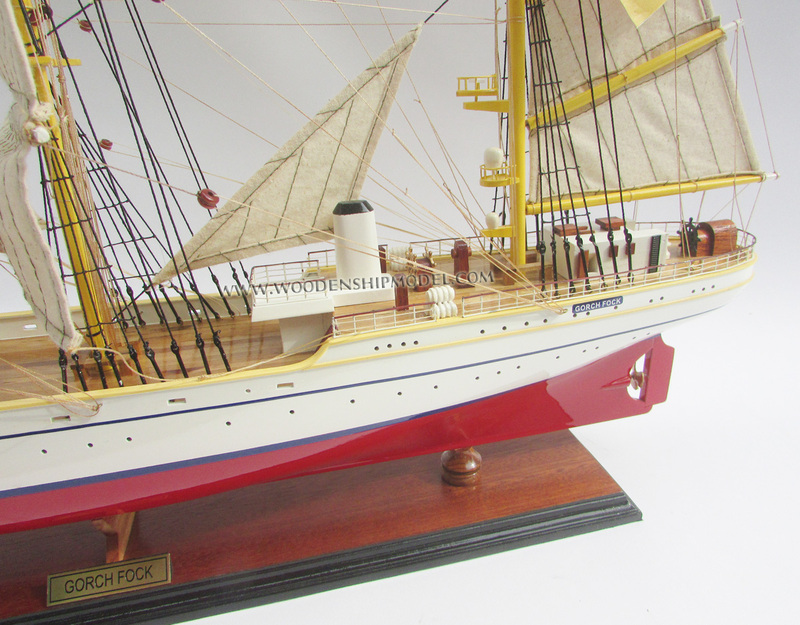 On December 11, 2002, the Gorch Fock lost her figurehead in a storm. The replacement was also made of wood. Again, the figurehead broke off in a storm on December 5, 2003. 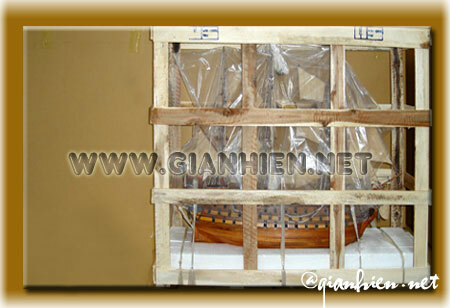 On February 24, 2004, the ship got a new albatross, this time made of carbon fiber reinforced polyester.